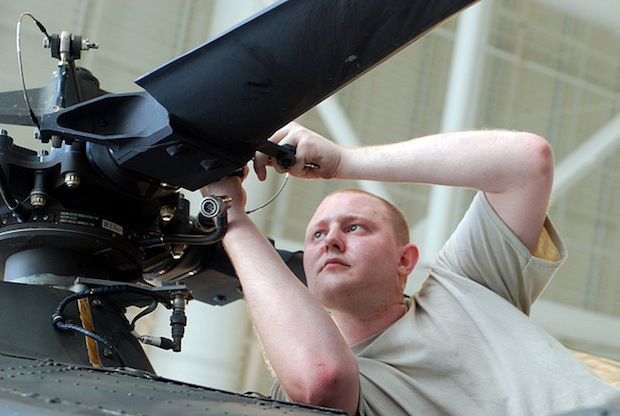 Alabama Aircraft Support, since renamed Arista Aviation, constructed a new 60,000 square foot hanger outfitted with the latest equipment and technology necessary to provide Maintenance Repair and Overhaul (MRO) services for civilian and military helicopters. The project has facilitated the creation of 57 jobs and is uniquely located near Ft. Rucker, Eglin Air Force Base and Whiting Field to take advantage of military service needs with a best of breed facility designed to the highest military and avionic standards. This project is one of several strategic projects in the aerospace and aviation sector that have settled in Alabama. Alabama Governor Robert Bentley and Alabama Lieutenant Governor Kay Ivey both spoke at the groundbreaking event along with Enterprise Mayor Kenneth Boswell. MuniStrategies provided allocation for this project and worked closely with the Wiregrass Economic Development Corporation for months to make this project a reality. The project is located in a severely distressed area with 29% of local residents in poverty. Company employees will receive competitive wages, insurance benefits and the ability to contribute to a 401k plan. The company has a working relationship with Enterprise Community College that provides specialized training for high school/GED graduates to move directly into aviation maintenance production jobs. The project received Honorable Mention as Non-Metro QLICI of the Year in 2014. Economic: This project and subsequent private investments have created an enormous impact with a direct payroll of over $4 million annually. Jobs: This project created 145 construction jobs and 57 full time jobs to date. At full scale will represent 130 full time workers. Given the company’s focus on military aircraft, special recruiting efforts targeting military veterans from various service branches are ongoing. Community: The firm has a unique partnership with the City of Enterprise and has a special commitment to hire from the local community. Workforce Development: In addition to required OSHA, safety, and FAA compliance training, there are a myriad of specialty training options available for workers. From specialized equipment training, machining and painting, workers are provided best of breed training in their fields. Additionally, the company recruits employees through a specialized Avionics Maintenance/Technology program at Enterprise Community College that attracts unskilled labor with high school degrees and places them in production jobs within 24 months.